Great Impressions: Need Another "Gift" Card? 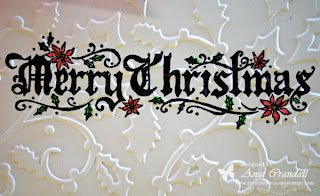 The clock is a tickin' and I needed a few quick and simple cards for those last minute gifts. 4. Cut 3 lengths of ribbon and layer 2 pieces. Tie a bow & adhere. 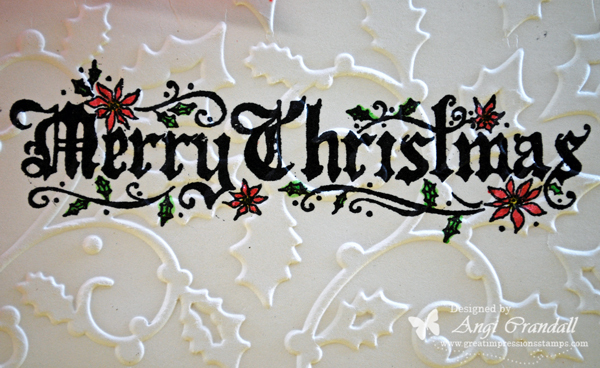 If you leave out the coloring and adhere the panel to the card base, this card will be quick and easy to assemble. You could even skip the embossing, if you're really in a hurry! Have you taken a look at all the entries in our monthly challenge? The theme is ANYTHING GOES! Can't get much simpler than that...I hope you find time to make a little something this month - we'd love to see it! 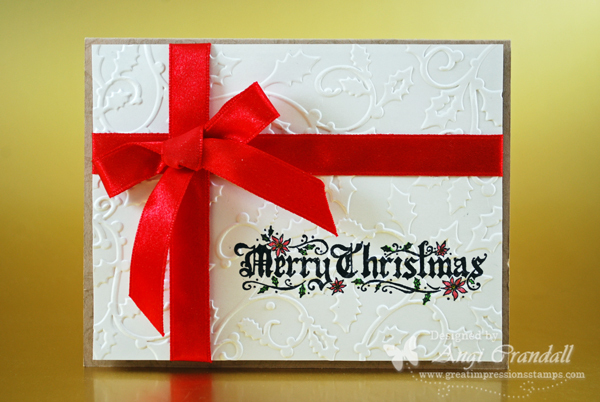 Your card is wrapped up just beautifully Angi - great design! 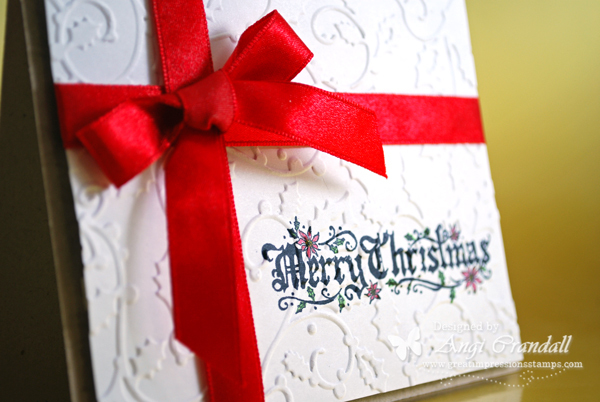 Love that this looks like a pretty present...wonderful sentiment stamp! How quick but so elegant -- awesome idea!